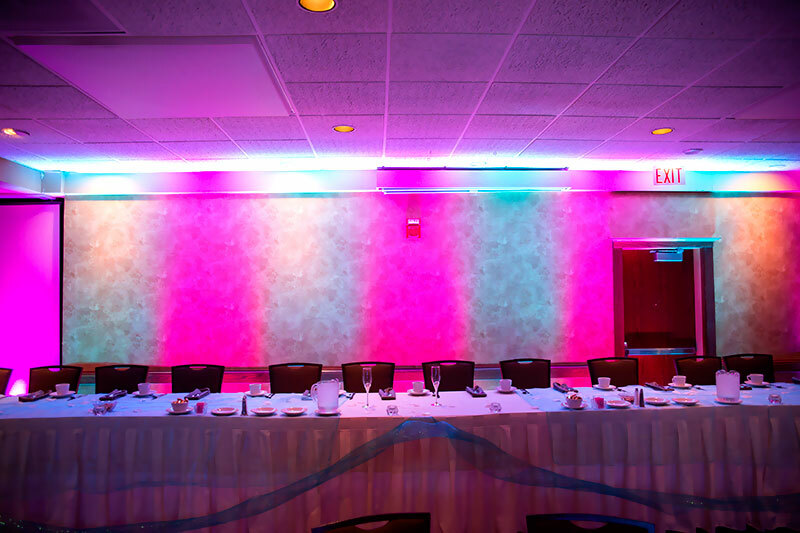 custom lighting for your event. 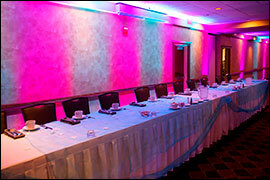 Lighting can add energy, atmosphere and a touch of individuality to your event. 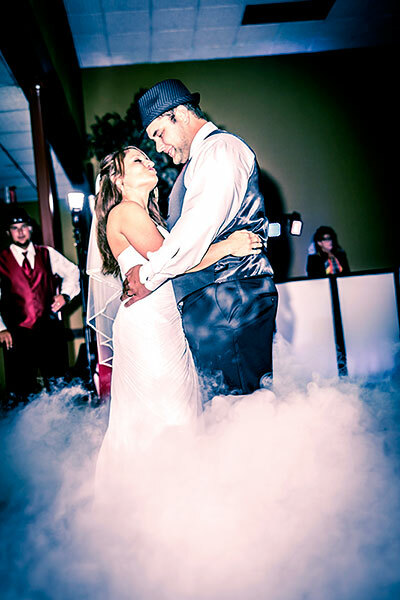 Our goal for your wedding is the same as yours: to help you and your guests have a wonderful time. 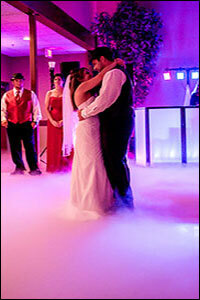 You have found the perfect venue but want to incorporate your color scheme into the reception design. 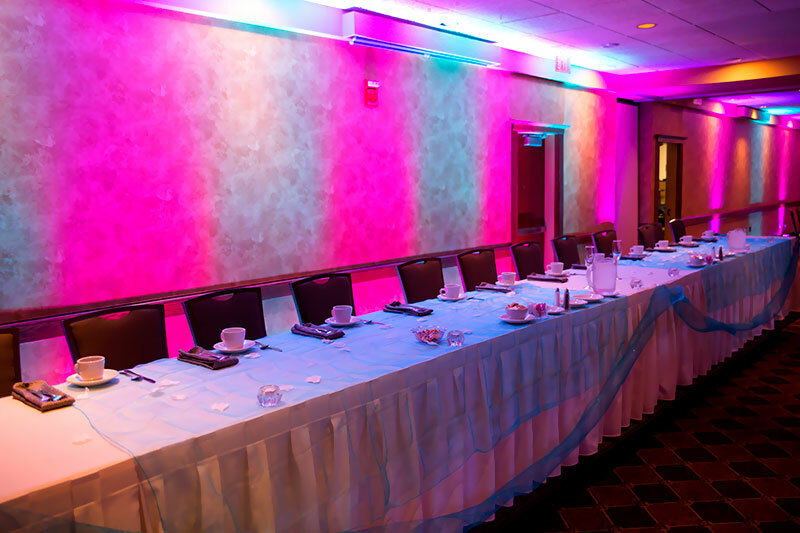 You can use lighting to accent the architectural features of your venue or camouflage parts of the room you are not as fond of. 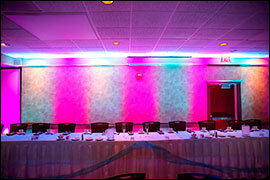 Up lighting can add subtle color to the room to accent your floral design. Lighting can be used to create a certain mood for your event, whether you are looking for whimsical, romantic or a vibrant fun atmospheres. displayed in bright light on the dance floor. a classic way to personalize your wedding. that would perfectly compliment a wedding slideshow at your reception or ceremony. 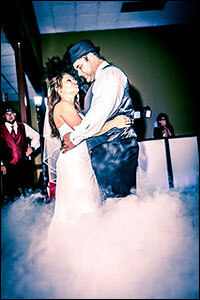 of dancing on a cloud! has full sound and lighting systems available for rent. 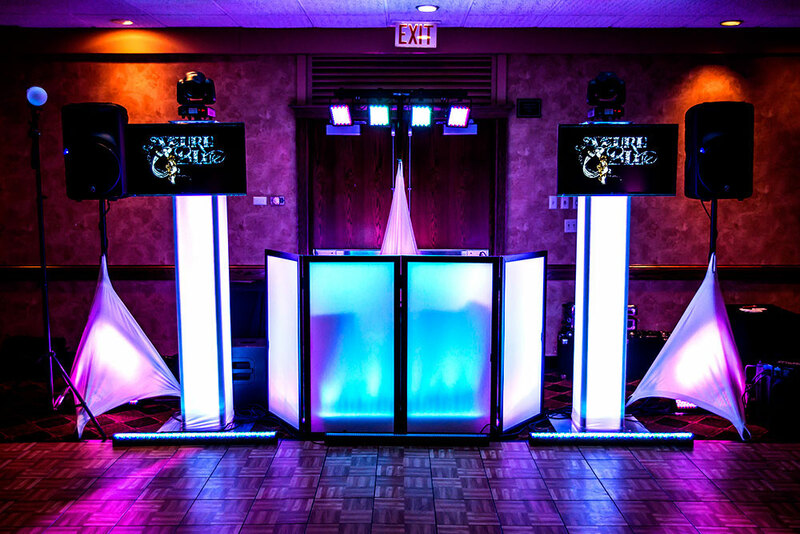 Nightlife is a concert production company so we have everything it takes to have a successful event. Delivery and pick up options also available.